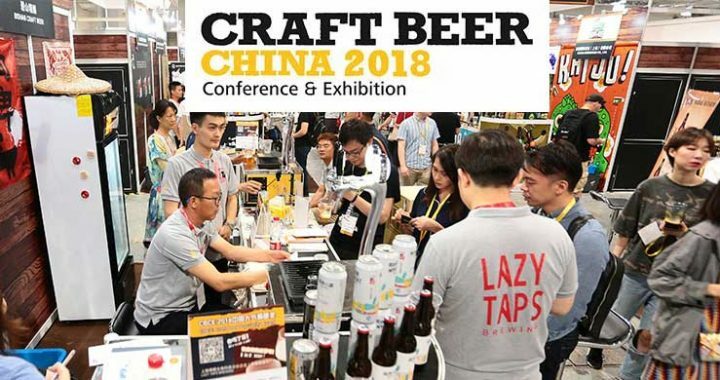 Herlinda Heras is back from China and will tell us about her recent trip to theCraft Beer China 2018 Exposition in Shanghai. Pete Foppiano is sitting in for Steve Jaxon today, who has the day off. Mark starts by telling about the fantastic success of the Sierra Nevada Brewing initiative that Ken Grossman started. Because of the fires, Sierra Nevada set up a program for other breweries to make a certain beer, and all its profits would go to supporting those affected by the fires. Over 1000 breweries worldwide have joined in and will contribute. Herlinda says it’s a good example of how beer can bring world peace. The China Brewers Association asked Herlinda to co-host the first Awards, last week. Snow Brewery, a Chinese state company, is the largest brewery in the world, it was a major sponsor. AB Inbev also sent their executive in charge of all alcoholic beverages in China. Mark observes that it has some nice roasty malt flavors and says it’s a good beer. Herlinda was also the moderator of their Olive Oil Summit, and she says that they are growing olives there too now. It was staged rather like a cooking show. She says the air in Shanghai was not so bad, and indeed during that time there were fires in California and there were reports on Chinese TV about the bad air in the Bay Area due to the fires. Herlinda says that China is also the largest world consumer of red wine. She brought some Sonoma County Russian River Pinot Noir for them. They like lighter beers and most of their beers are light lagers. Every time someone said “gam bay!” that meant you had to finish your whole drink, and they were saying it a lot, while celebrating every award. She told them that beer can bring world peace and they invited her back for next year. Her hosts run a culinary school and they held a competition for 1000 chefs. She says she felt treated like royalty. They were amazed that Herlinda felt that she could speak freely, for example, about politics. All outside Internet is blocked in China. Mark wants to know if they ask a lot about what’s going on outside of China. She says they were careful if talking about that. Shanghai has become very rich and Herlinda says they show money, technology and ambition more than anyone, even NY and SF. It’s clean, beautiful and the best food city she’s every been to. Herlinda has also brought a Polish Grodizskie beer. It’s one of the true Polish origin beers. They revived some hops to make it right. During Communism, a lot of Mom-and-Pop breweries were shut down. Grodizskie is a recognized style. Mark notes that it has a smoky flavor. They have to smoke their malt themselves. It resembles the beer of Bamberg, Germany. Herlinda and Mark agree that Poland is a great place to visit, with good food and low costs for travelers. Herlinda describes the places she visited in China, including a picturesque town outside Shanghai with canals.